His story is an inspiration for millions. A self-made entrepreneur, his mission is to help the poor through job creation. 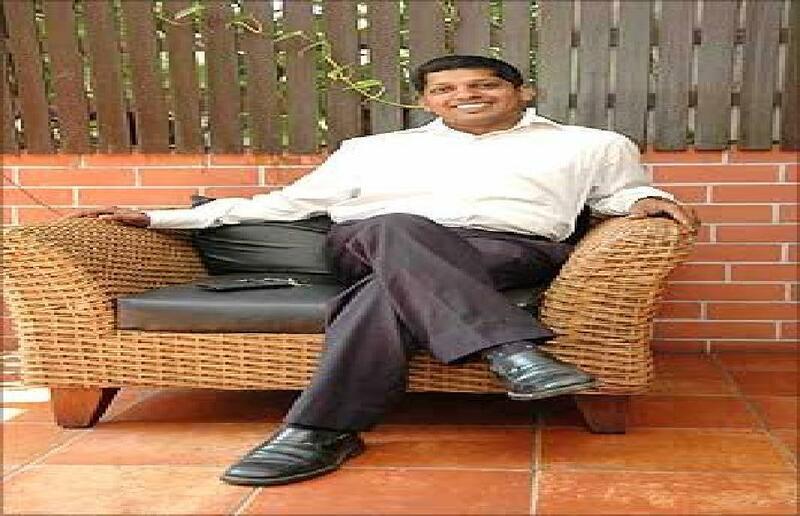 E Sarathbabu hit the headlines after he rejected several high profile job offers from various MNCs after he passed out of IIM, Ahmedabad two years ago. He instead started a catering business of his own, inspired by his mother who once sold idlis on the pavements of Chennai, worked as an ayah in an Anganvadi to educate him and his siblings. As a child, he also sold idlis in the slum where he lived. “We talk about India shining and India growing, but we should ensure that people do not die of hunger. We can be a developed country but we should not leave the poor people behind. I am worried for them because I know what hunger is and I still remember the days I was hungry,” says Sarathbabu. In August 2006, Sarathbabu’s entrepreneurial dream came true with Foodking. He had no personal ambition but wanted to buy a house and a car for his mother. 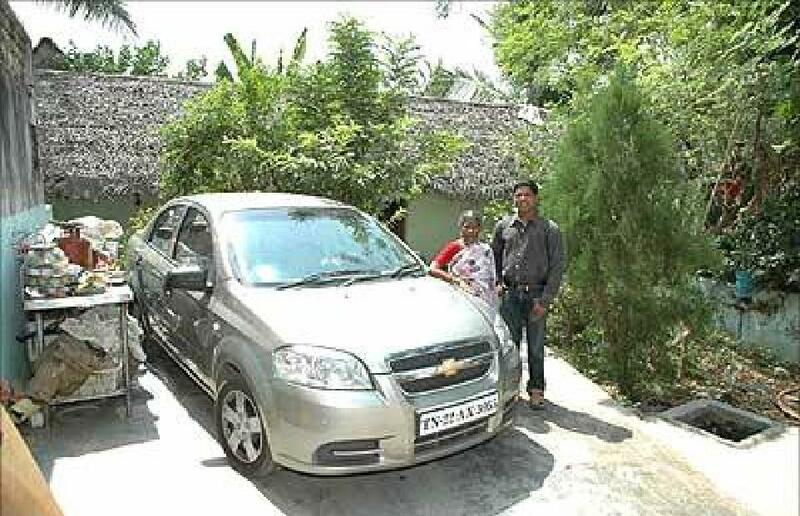 He has bought a car but is yet to buy a house for his mother. The “foodking” still lives in the same hut in Madipakkam in Chennai. Today, Foodking has six units and 200 employees, and the turnover of the company is Rs.32 lakh a month. But it has not been a bed of roses for Sarathbabu. After struggling and making losses in the first year, he managed a turnaround in 2007. How has his experience as a ‘Foodking’ been in the last two years? Sarathbabu shares the trial and tribulations of an exciting and challenging job in an interview with Shobha Warrier. As I am a first generation entrepreneur, the first year was very challenging. I had a loan of Rs 20 lakh by the end of first year. I had no experience in handling people in business, and it was difficult to identify the right people. Though I made losses in the first year, not even once did I regret my decision of not accepting the offers from MNCs and starting an enterprise of my own. I looked at my losses as a learning experience. I was confident that I would be successful one day. My first unit was at IIM, Ahmedabad. When we started our second unit in October 2006, I thought now I would start making money. But I made losses of around Rs 2000 a day. A first generation entrepreneur cannot afford such a loss. But I worked really hard, working till 3 a.m. in the morning. What reduced my losses were the birthday party offers. I started the third unit again in Ahmedabad but it also made losses. All my units were cafeteria and I understood then that the small cafeterias do not work; I needed huge volumes to work. My friends who were extremely supportive in the first year when things were difficult for me. I had taken loans from my IIM-A friends. They were earning very well. In December 2006, an IIM Ahmedabad alumni event took place in Mumbai and I decided to go there mainly to get a contract. I was hopeful of getting it. I also knew that if I got the huge contract, I would come out of all the losses I had been incurring. I booked my train ticket from Ahmedabad to Mumbai for Rs 300 and I had Rs 200 in my hand. As the meet went on till late at night, I could reach the station only at midnight. I missed the train. I decided to sit on the platform till the morning and travel by the next train in the morning. I didn’t have the money to check into a hotel. I didn’t want to disturb any of my friends so late at night. It was an unforgettable night as I was even shoved off by policemen from the platform. It was quite insulting and embarrassing. After two hours, people started moving in, I also went in. A man who sat next to me on the platform gave me a newspaper so that I could sleep. I spread the newspaper and slept on the platform! I sleep well. I got my ticket refund in the morning and went back to Ahmedabad. And, luck did not favour me, I didn’t get the contract. In March 2007, I got an offer to start a unit at BITS, Pilani (Sarathbabu was an alumnus of BITS, Pilani). That was the first medium break for me. For the first time, I started making profits there though the other units continued to make losses. The reason for our success at BITS, Pilani was the volume; there were more students and there was a need for a unit like ours while in Ahmedabad, they have at least a hundred options. If I made Rs 5000 a day at Ahmedabad in two shifts, here I made Rs 15,000 a day. BITS, Pilani unit gave me the confidence to move on. Unless you make money, you can’t be confident in business. When all my friends who worked for various MNCs made good money every month and I made losses with my venture. But I kept telling myself, I am moving in the right direction to reach my ambition and vision. My dream was to provide employment and I was doing just that. I continued to work till 3 a.m. but I never felt tired. 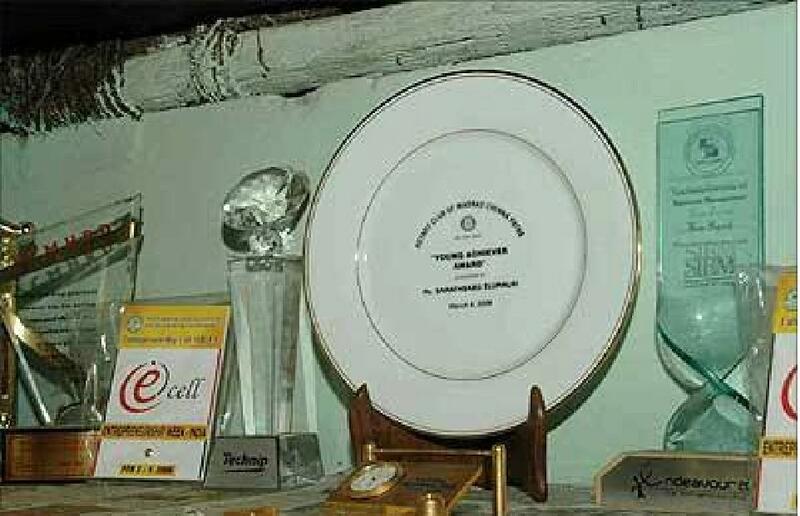 Through BITS, Pilani, I got the BITS, Goa contract and that was the biggest break for me. It was not a cafeteria like the earlier ones but the dining hall that we got. We had to feed 1300 students. We started our operations in July 2007. At Rs 50, for 1300 students, our sales was Rs 65,000 per day. We soon started making a profit of Rs 10 to 15,000 a day. Around 60 to 70 people work there. I gave the charge of the Ahmedabad operations to one of my managers and moved to Goa. I was still in debt by Rs 15-20 lakhs but I knew BITS, Goa would keep my dream alive. Within six months of starting our operations in Goa, I repaid all my debt. I was called to give a speech at the SRM Deemed University. After the speech, I asked the Chancellor, can you give me an opportunity to serve in your campus? He said, “If not you, to whom will I give such an opportunity?” It’s a food court but a big one, similar to the one at BITS, Pilani. There are around 17,000 students there. Now, I have the BITS, Hyderabad contract, ready to start in July 2008. Other than the six units, I have approached a few more universities and corporate houses too. In the first year, I had made a loss of Rs 25 lakh. Right now, we have a turnover of Rs 32 lakh every month, which works out to 3.5 crore (Rs 35 million) a year. I have hired about 200 people. Indirectly, we touch the lives of around 1000 people. By this year end, we will have 500 people working for us. Only 10% of my workers are educated, the rest are uneducated. I want to make a change in their lives. If they have any problem, I will take care of it. We support the marriages and education of poor families. We are paying more to the employees as the company is doing well. Now that the foundation is strong, I plan to have ten units and a turnover of Rs 20 crore (Rs 200 million) turnover by next year. His advice: Never give up! In the last two years, I have given more than 120 lectures in various institutions in India. When I got the first opportunity to speak, I thought God had given me an opportunity to encourage or inspire entrepreneurs. When youngsters tell me they are inspired, I feel good. When you just dish out the theory, nobody believes you. But when you do it, they believe you. What I tell them is based on my own experiences. When I thought of starting a company, I felt India needed 100 people like Narayana Murthy and Ambani. If 100 such people support 2 lakh people each, imagine how many Indians get supported. Entrepreneurship is needed to uplift the poor. It is not easy to be an entrepreneur, especially a first generation entrepreneur. There will be lots of challenges in the beginning but you should learn to look for the light at the end of the tunnel. Never give up even if there are hurdles. There are many who give up within a week. You need determination and a tough mind to cross the initial hurdles. If you are starting without much money, you should not have any overhead expenses. As I am in the food business, I know how much the price of every food item has gone up. Many people will languish in poverty because of inflation. Had my mother been working as an Anganvadi ayah today and earning Rs 1500, she would not have been able to feed us and educate us. On the one side, we talk about India shining and India growing, but we should ensure that people do not die of hunger. We can be a developed country but we should not leave the poor people behind. I am worried for them because I know what hunger is and I still remember the days I was hungry. That is why I feel it is our responsibility to take care of them. I wanted to buy a car and a house for my mother. I bought a car first, not a house. I still live in the same house, the same hut. I can build a house right now but I want my business to grow a little more. I feel good in the hut; that’s where I get my energy, that’s where I lived 25 years of my life. I want to remind myself that the money and fame should not take me away from what I want to achieve. But within six months, I will build a good house for my mother. Her only advice to me is, don’t waste money. Till I was in the 10th, there was no electricity in my house. I had to sit near the kerosene lamp and concentrate hard. That’s how I learnt to concentrate. The two year journey has been very enriching. It seems like a 20-year journey for me. I was living every moment of the two years, from sleeping on the Mumbai railway station platform to this level.